SHADES OF OLYMPUS! 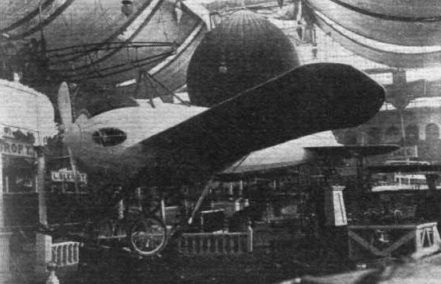 Example of early aircraft exhibited at previous Olympia Aero Shows. The Piggott all-enclosed monoplane of 1911 - a forerunner of the present-day cabin machine? Among the younger FLIGHT readers there may well be a belief that the cabin machine is a modern, or comparatively modern, "invention." 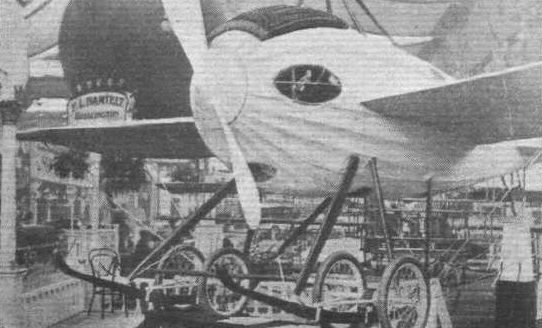 That this is not the case is brought out by the photograph, of a monoplane exhibited by Piggot Brothers in 1911. The machine had a very "fat" fuselage, of streamline form, and the pilot obtained his view (such as it was) through windows in the fabric covering.